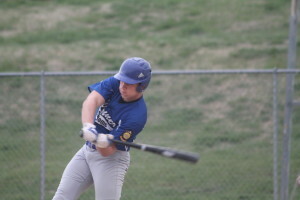 In a home game on April 17, the Royals were defeated by Mitchell 5-1. Winner/Colome’s only run came in the fifth inning. Mitchell scored four runs in the 2nd inning. Pitching for Winner/Colome were Kelly O’Bryan who pitched the first two innings and gave up four unearned runs on 3 hits and had 2 strikeouts. Ty Bolton pitched four innings and gave up one run on 3 hits, 2 walks and 2 strikeouts. Carter Brickman threw one inning and gave up one hit. At the plate, McClanahan had a double and a single and Thieman had a double.